George Clooney’s 4th directorial effort brings him together with “it” guy of the year,Ryan Gosling.The political thriller also stars Phillip Seymour Hoffman,Marissa Tomei,Paul Giamatti and Evan Rachel Wood.The movie is about the last days of a Ohio democratic presidential primary.Ryan Gosling plays Stephen Myers,a junior campaign manager for Mike Morris (George Clooney) who inadvertently gets involved in a political scandal that threatens his candidate’s chances for president.This movie was a good one.Clooney is a pretty good director.All his movies have the same sort of feel to them and they become recognizable when you have watched a couple.This one reminds me of one of his other movies, Good Night,and Good Luck.Ides wasn’t anything groundbreaking or whatever but it was a solid movie.The acting was good, story was done well,I would recommend it.We all know politics is shady but the movie just kind of made you sad to see just how shady it is and how someone can go into it innocent and with idealistic beliefs and end up having to sell their soul.The question is just how much of your soul are you willing to sell?Ides of March is in theaters now. 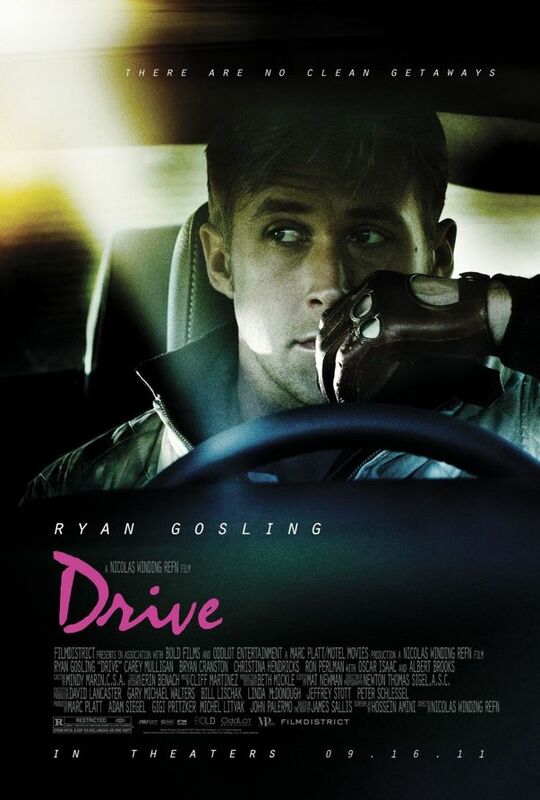 Drive is a movie starring Ryan Gosling (The Notebook, Crazy, Stupid, Love). He plays a stunt driver who moonlights as a getaway driver for criminals. When one of the heist he drives in goes wrong, he finds out that a hit has been put out on him. I saw this movie and I WAS NOT READY. I went in thinking, “Ok, this is going to be a heist movie with some nice driving stunts a la Fast and the Furious.” WRONG. It turned out to be a pretty slow at the beginning, which was fine, but it left me wondering where exactly it was going. Gosling was soo creepy to me in this movie. He reminded me some of his character from Murder By Numbers. It was just weird seeing him this way since I just saw Crazy, Stupid, Love last month and he was just so delicious in that one. The movie itself when it finally got going about an hour into it got extremely violent and kind of went off the rails. I liked the movie though. The acting was good and it has a good cast (Carrie Mulligan, Bryan Cranston, Christina Hendricks). If you are a fan of film noir, then you’ll like this movie. It opens in theaters Sept 16.